I started watching “Star Trek” when I was little and Mama’s idea of quality time was making me watch “Star Trek” reruns with her on Saturdays. I am pretty sure I was the only little girl who was watching a show about the final frontier of space instead of playing with a Barbie. I protested about Mama making me watch it, but in reality, I loved it. Every single bit of it. Kirk was a charismatic leader; Bones was a Georgia boy, and Scotty was everyone’s favorite red shirt. Mama informed me Uhura had a futuristic version of her job as a phone operator. And who doesn’t remember a shirtless Sulu wielding a sword? I even had a tiny crush on Chekhov. 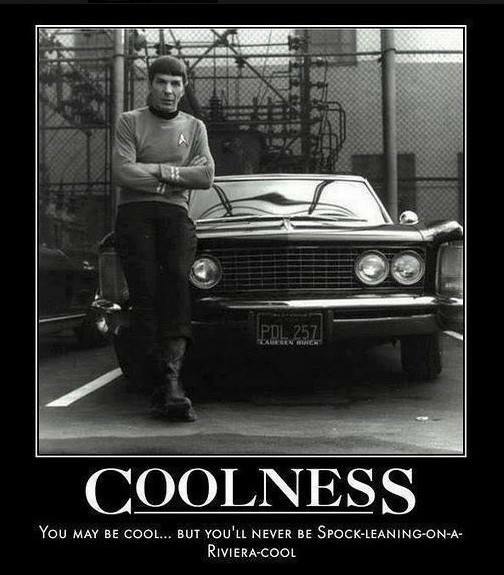 But, if I were to be honest, my favorite was the logical, pointy eared science officer – Mr. Spock. I practiced giving the Vulcan salute and telling people, “Live long and prosper.” They may not have been high on emotional outbursts and undoubtedly would have thought I was silly, overemotional creature, but Vulcans were pretty cool in my book. But watching “Star Trek” with Mama on Saturdays was special – it was our time to watch something no one else in the family watched and was our bonding time. She usually worked a late shift at work and with me in school during the week, I didn’t have a lot of time with her, so “Star Trek” meant the world to me. It was my hour of uninterrupted Mama. Mama took me to the theater in downtown Athens the summer of ’82 to see the second movie, “The Wrath of Khan.” The theater was packed that hot, summer day and Mama had been looking forward to the movie all summer. I think everyone had been disappointed with the first movie…There we sat, me upset that Khan had put that worm in Chekhov’s ear and running out of popcorn. And Mama was not missing one bit of the movie to go get more. Then, the unspeakable happened. Spock died. Mama said at one point she had looked over when the movie was a bit scary and I had grabbed hold of the little boy sitting next to me. I was 10 and he was probably about the same age. When Spock died, we both grabbed each and wept, inconsolably. Shamelessly, gut-wrenchingly wept. Both our Mama’s had to pull us apart, comforting us as we parted ways on the sidewalk, even though they were both upset too. I think they may have hugged. Mama shouldn’t have been surprised; she has always been so liberal she could make a Kennedy look conservative and she had always preached equality among every breathing creature. And that is how she had raised me. But it was the purity of emotion, the simplicity of how people truly do need each other in this world – and all the others – that drove home that message of “Star Trek” that day. “What will Sheldon do now?” my friend Pam asked me on Facebook. Thank goodness Sheldon Cooper has the napkin with Leonard Nimoy’s DNA that Penny gave him for Christmas that year. Maybe Sheldon will clone him. The Universe shifted again today. My favorite Vulcan was gone forever. No more cameo appearances in the movies. No hearing his distinct voice in cartoons and as the voice of Sentinel Prime in the “Transformers.” Just no more. I wondered where my fellow moviegoer from 32 years ago was and if he remembered the two of us crying in that theater in downtown Athens. I wondered if he was crying, today, too. This entry was posted in Childhood, family, memories and tagged Leonard Nimoy, LiveLongAndProsper, RIP, Spock. Bookmark the permalink.